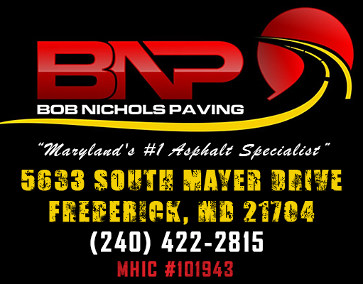 Bob Nichols Paving of Frederick, Maryland, offers reliable parking lot repair, asphalt work, and sealcoating for commercial spaces and roadways in Frederick, MD. A place of business needs an attractive parking lot to conduct a gradual flow of traffic. Bob Nichols Paving has the state of the art paving equipment and crew to conduct a professional work environment to complete any parking lot repair job in a timely manner. We provide new construction, asphalt milling-curb and gutter, speed bump installation, and resurfacing services. Our parking lot repair team has the knowledge and equipment needed to finish any type of job. We offer hot crack-filling services. We use commercial-grade emulsion sealer to enhance the appearance of your parking lot. Our sealcoating service will help wear-and-tear of major traffic flow to lots and roadways. Placement of parking lines, handicap insignias, stops bars, hatch lines, etc. For parking lots or roadways can be achieved with our company’s paving and sealcoating services. 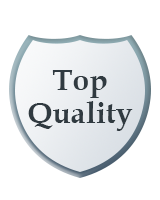 While our parking lot repair company values your safety and protection, many contractors choose not to. If your contractor does not have a Workman's Compensation Insurance, you could be responsible if a person is injured within the boundaries of your property. Call our office to get your certificate. Contact us in Frederick, Maryland, for speed bump installation and asphalt repair you can count on.